Read the latest news about benefits, grants and useful resources. Adult claimants still receiving Disability Living Allowance (DLA) will start to be contacted to claim Personal Independence Payment (PIP) instead. PIP will be rolled out across Great Britain to claimants who have an indefinite award or a fixed term award. The Department for Work and Pensions (DWP) will notify them about what they need to do to claim PIP. The DWP will invite claims as early as possible from recipients who have turned 65 after 8 April 2013, when PIP was first introduced. If you turned 65 before 8 April 2013, you will remain on DLA. 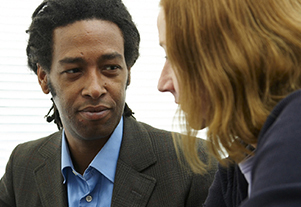 Specialist Employability Support (SES) is a new tailored support service for unemployed disabled people that will help them move closer to the labour market. This new service began last month and is being delivered by six national SES providers. Four of them - Shaw Trust, Remploy, Kennedy Scott and Steps to Employment - will cater for people with a range of disabilities. People with a visual impairment will be supported by the Royal National College for the Blind and Doncaster Deaf Trust will help those who have a hearing impairment. More details are available from local Jobcentres. From 1 October 2015, the adult rate of the National Minimum Wage (NMW) rises by 20 pence from £6.50 to £6.70 per hour, as recommended by the Low Pay Commission (LPC) in March 2015. The apprentice rate increases by 57 pence to £3.30 per hour. A new top up scheme was introduced on 12 October to allow existing pensioners, and those who will reach State Pension age before 6 April 2016, to increase the amount of pension they get from 12 October 2015 - 5 April 2017. By making a lump sum Class 3A Voluntary National Insurance contribution, pension income can be boosted by up to £25 per week. The amount people will need to pay to receive the additional pension will depend on their age. For example, to get an extra £1 per week State Pension for life, the lump sum payment for a 65-year-old would be £890, compared to £674 for someone who is 75. A State Pension top up calculator is available on the Gov.UK website to show the lump sum contribution needed to increase pension income by between £1 and £25 per week. Announced as part of the Spending Review in June 2013, it is planned that Winter Fuel Payments will be cut for those living in hot countries from Autumn 2015. The Chancellor, George Osborne, said that the payment would be withdrawn from expats living in a European country with an average winter temperature higher than the UK. The seven countries affected are: Cyprus, France, Gibraltar, Greece, Malta, Portugal and Spain. Legislation needs to be passed before the change can be made. One in five pensioners misses out on hundreds of pounds’ worth of benefits they could claim, according to the national charity Independent Age. Does this apply to you or your clients? As with the previous introduction of Universal Credit to areas this latest roll-out will only be for new claims from single people, who would otherwise have been eligible for Jobseeker’s Allowance. Click on the link below for details of the areas and the dates they 'go live'. The Family Fund, that national charity that supports severely disabled children 0-17 from low-income families, has launched its new website and brand following several months of development and consultation. The new brand, developed in-house and in conjunction with families, "better reflects the diverse nature of the families the charity supports and the qualities that they value". We have renamed our Charity of the Month feature as 'Grants Spotlight' with the focus on charities listed on our Grants Search. This month's charity is RBF (Railway Benefit Fund), which helps people who are currently working or previously worked in the railway industry and their families.